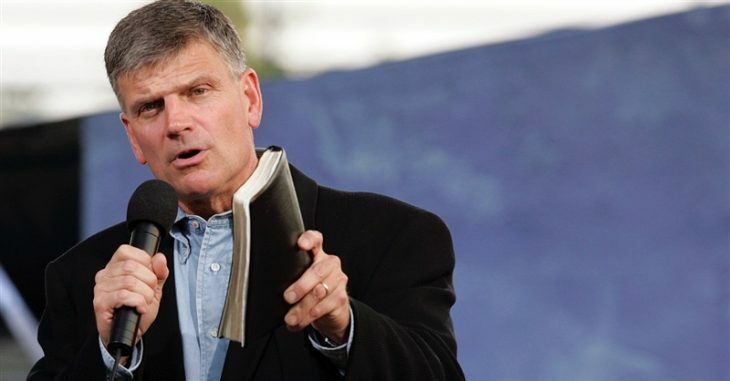 The Muslim Council of Britain, along with three Members of Parliament, have said Franklin Graham should be denied a visa for his visit that is due, the Guardian have reported. ‘In the past the government has banned individuals whom they claim are “not conducive to the public good”. Mr Graham’s remarks are on record and clearly demonstrate a hatred for Muslims and other minorities,’ The Muslim Council’s statement said. Graham, the founder of the Samaritan’s Purse relief organisation and son of famed evangelist Billy Graham, is due to speak at a Christian festival in Blackpool later this month. Graham is deemed by some as a controversial figure who has allegedly “made inflammatory statements about Islam, calling it an ‘evil’ and ‘wicked‘ religion”. What are your thoughts? Let us know in the comments section!